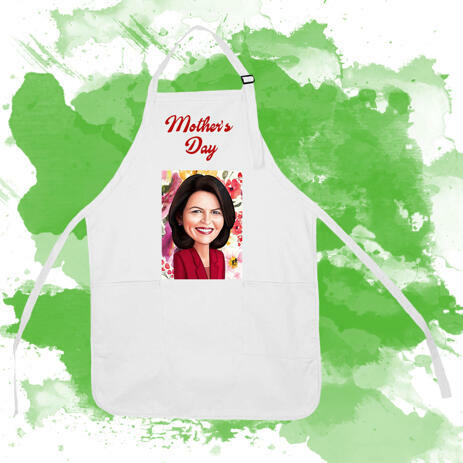 Make an original gift either for mother, grandmother, mother-in-law or any another woman who will be happy to receive a personalized photo gift. 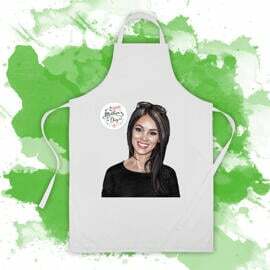 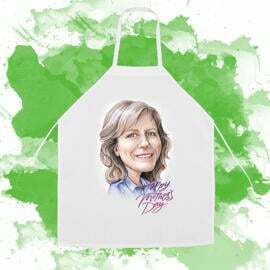 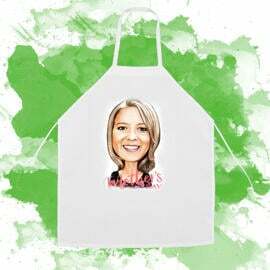 BBQ aprons or kitchen aprons with printed cartoon portraits are good gift ideas for cooking gods and divas. 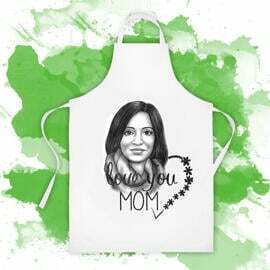 Upload the most favorite photo of your mother and we will draw a beautiful cartoon drawing, which will be printed on an apron. Your apron with drawings, text or our custom Mother's Day designs will be delivered within 20 days by post. 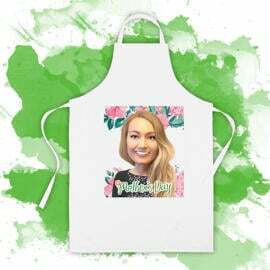 Photolamus will create a unique, affordable photo apron as an original gift for any woman. 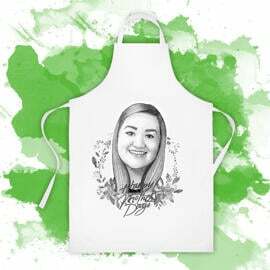 We will create a funny cartoon or portrait drawing from photo with text or flowers pattern of your choice.